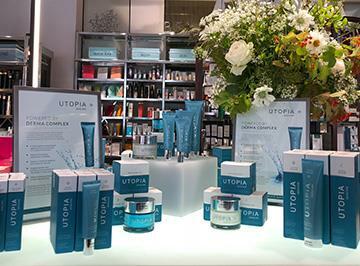 Utopia Skincare is a range designed to simplify caring for your skin pre, during and post menopause. Developed by scientists and powered by the Derma-Complex, Utopia Skincare uses cutting-edge adaptive technology that adapts to the needs and requirements of your skin. Using nano-technology this synergistic complex penetrates beyond the surface layers of your skin and delivers the effects deep into the epidermis and dermis layers, rebuilding the skin’s natural structure from within.